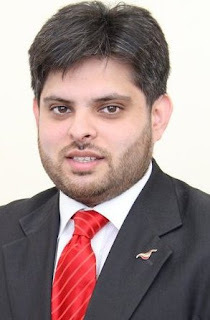 Councillor Waseem Zaffar who represents the Lozells & East Handsworth Ward in Birmingham UK has been awarded an MBE (Member of British Empire) for services to the voluntary sector in Birmingham. Waseem’s family is from Thub Jagir which is a village in Dadyal. He is the cousin of Raja Noman Kamal, a well known politician in Dadyal. It's great to see Dadyali's doing us proud and this is an amazing achievement. Masha Allah.